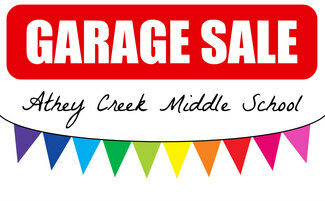 Our largest fundraiser of the year, the Athey Creek Garage Sale needs your help! We are looking for 2-3 people (in addition to myself) to fill each shift and organize the donation drop offs. I am planning to be at each drop off date to help ensure the process runs smoothly and easily for you! So bundle up, grab your coffee and meet us at the storage pods (located to the right of they gym). This is a rain or shine event and I can't thank you enough for your support! I’m sorry I have to swap. I hurt my rib and can’t lift anything right now so I’m swapping for next week. I feel so bad since I was supposed to come tomorrow(the 6th) My apologies!